Challenge coins Sold Separately for this MPC. 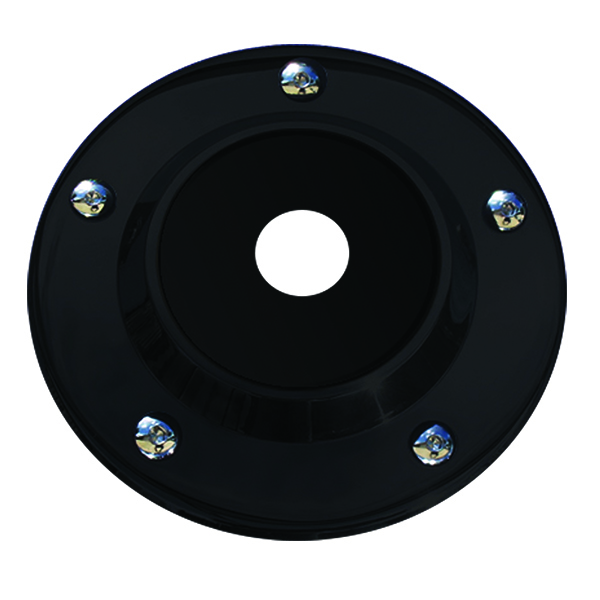 1 ½" Diameter Coins or Medallions fit in "The Black Edge 1.5 Harley Timing Cover". The Black Edge 1.5 Timing Cover receives its name from the 45 degree mounting angle, The Black Edge 1.5 Timing Cover has a bold, unique reflective ability to showcase a 1 ½" challenge coin like no other. • Fits 1970 to 2016 twin cam engines. • "Add a piece of your life to your bike" with MotorDog69's Medallion Plate Covers, USA Made, Patented & Engineered. • Easily mount and remove a 1-1/2″ challenge coin on your Harley engine. • MotorDog69's timing cover is designed to show off your challenge coin, rugged and durable, powder-coated matte black to match Harley's matte black-powder coating and is made of 100% Milwaukee metal. Gloss black finish also available, please specify. • A 1-1/2″ challenge coin is non-permanently mounted with a small amount of rtv silicone found on our website. • You can also remove the coin by popping it out with the thru hole, and then mount a new coin, to get a new personalized look. • The Black Edge 1.5 Timing Cover is mounted to your engine with 5 new stainless steel bolts (included). • The Black Edge 1.5 Timing Cover and coin will not rattle off your Harley engine if you follow MotorDog69's instructions. 5 hole MPC's fit all big V Twin Harley Davidson engines 1999 to new bikes. 2 hole MPC's Fit 1970 thru 1999 EVO Big V Twin Harley Davidson engines, also many Sportster models. 2 hole MPC's are custom made for many S&S engines. "Mount a Coin, Ride With Pride, Pop Coin Out, Remount a New Coin, And Get A New Personalized Look."